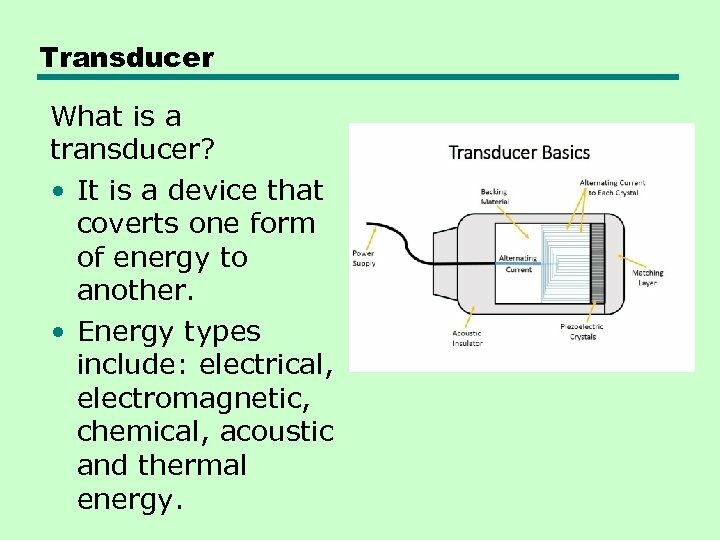 Transducer What is a transducer? 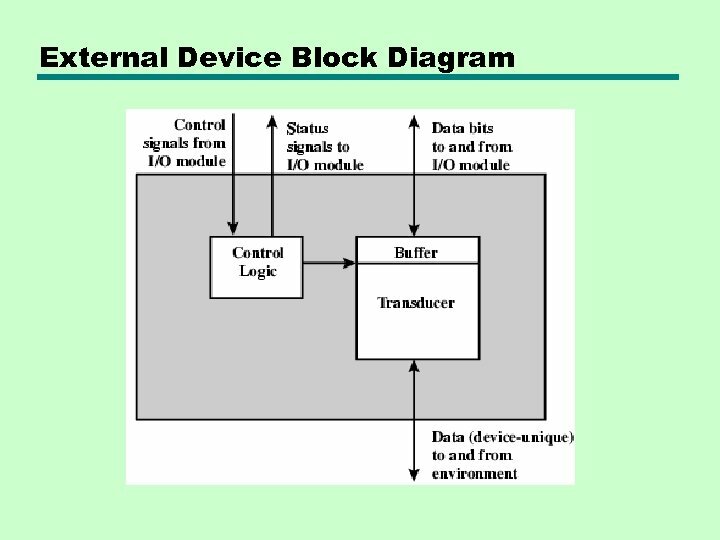 • It is a device that coverts one form of energy to another. 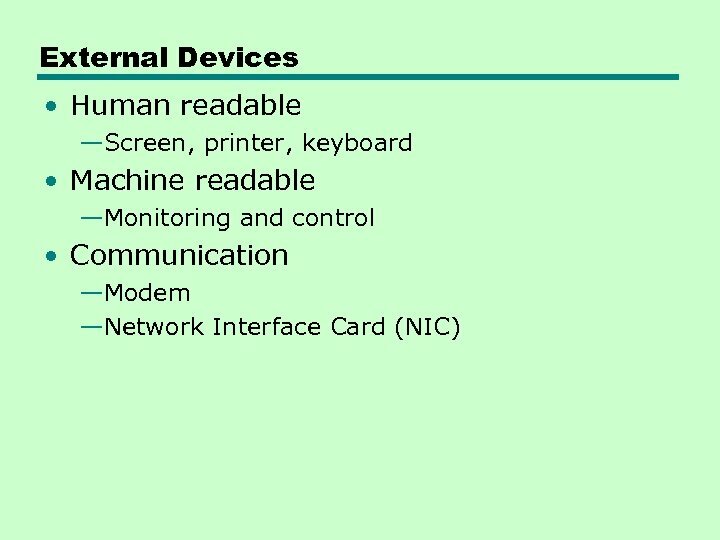 • Energy types include: electrical, electromagnetic, chemical, acoustic and thermal energy. 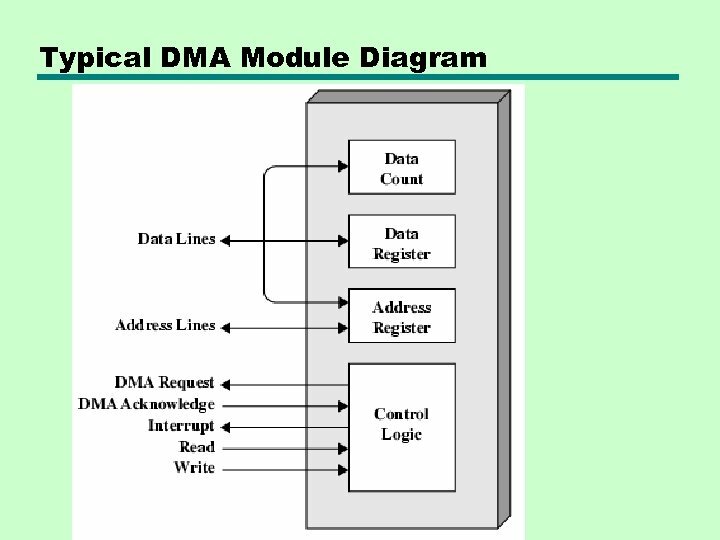 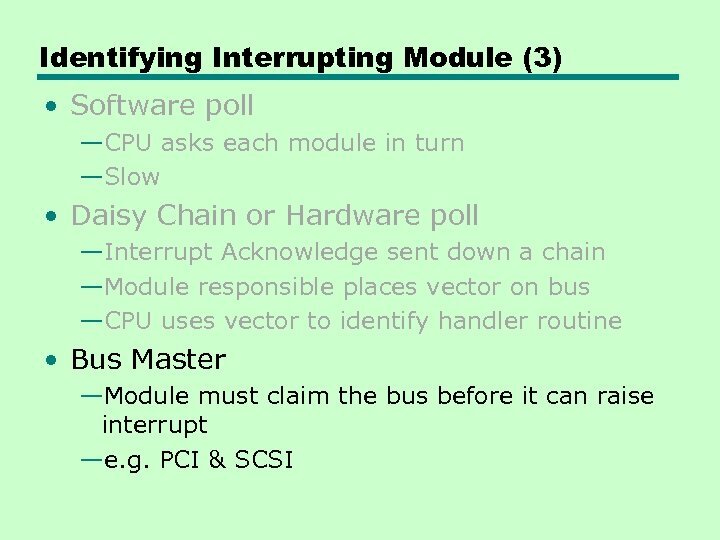 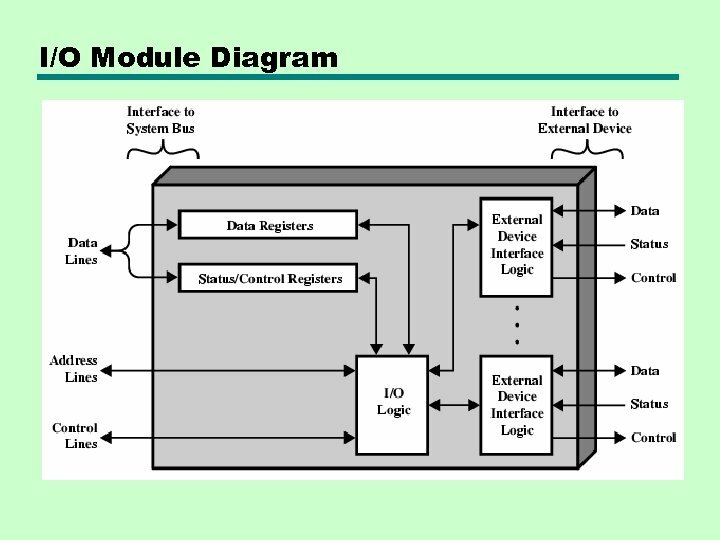 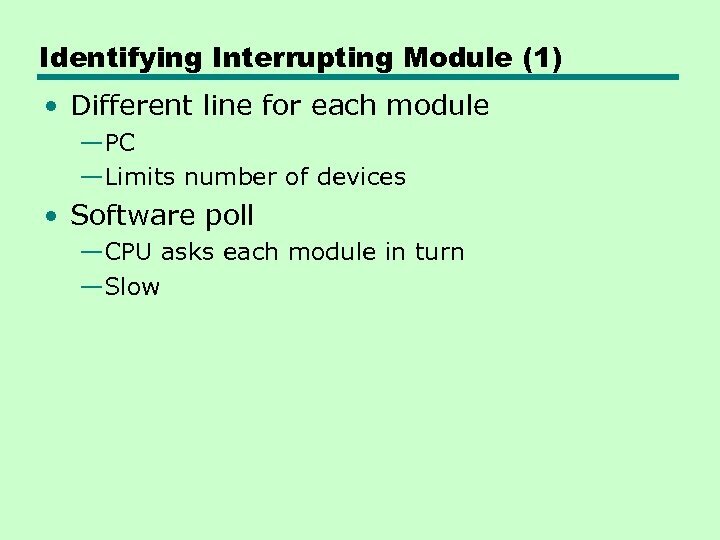 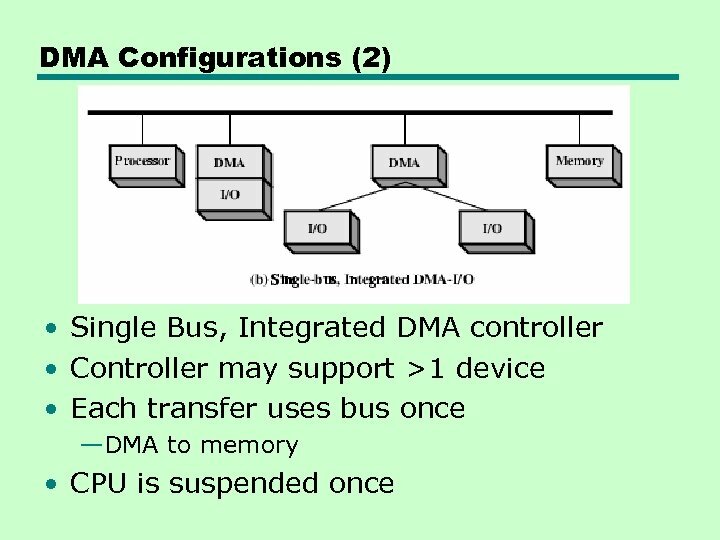 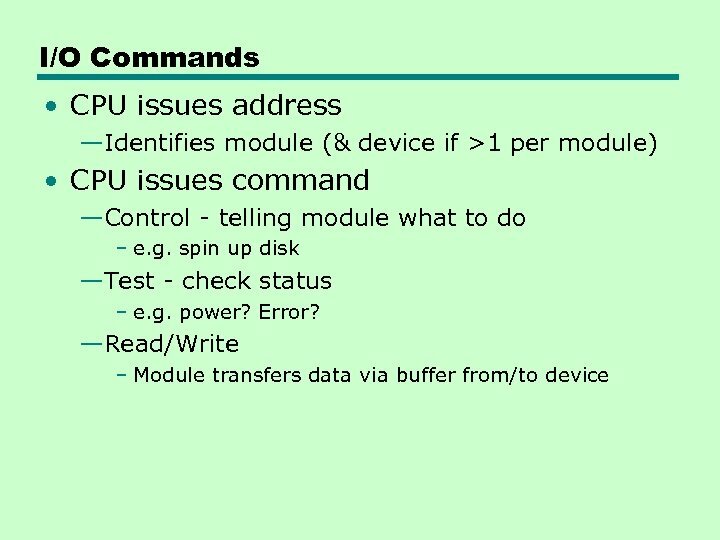 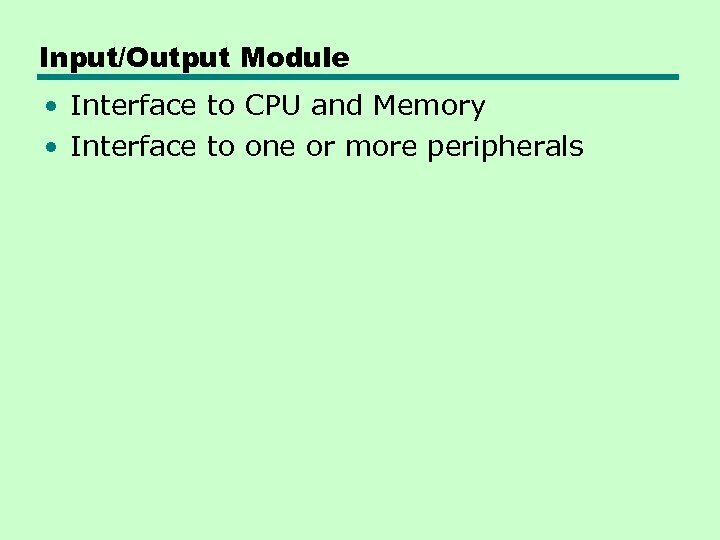 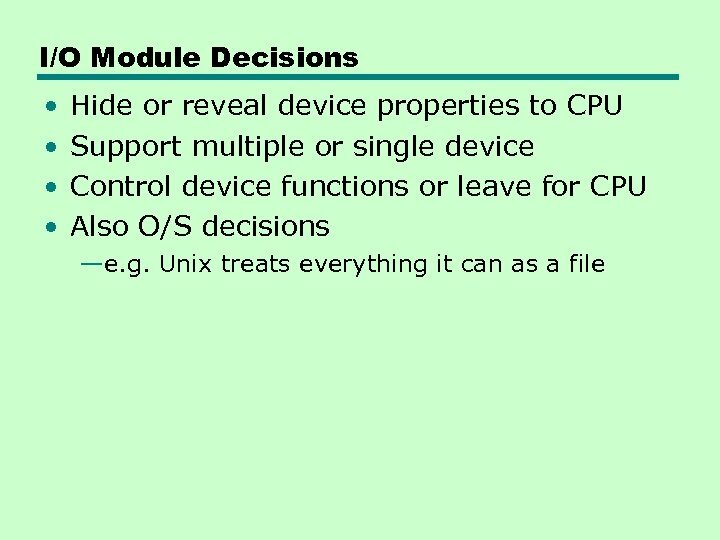 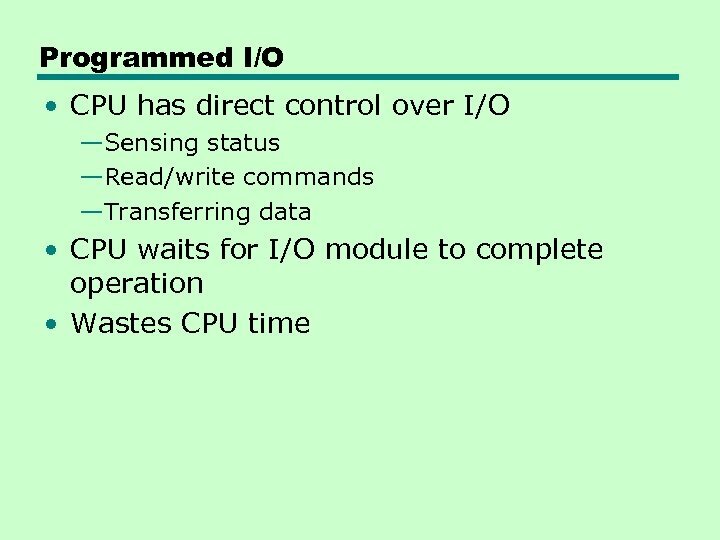 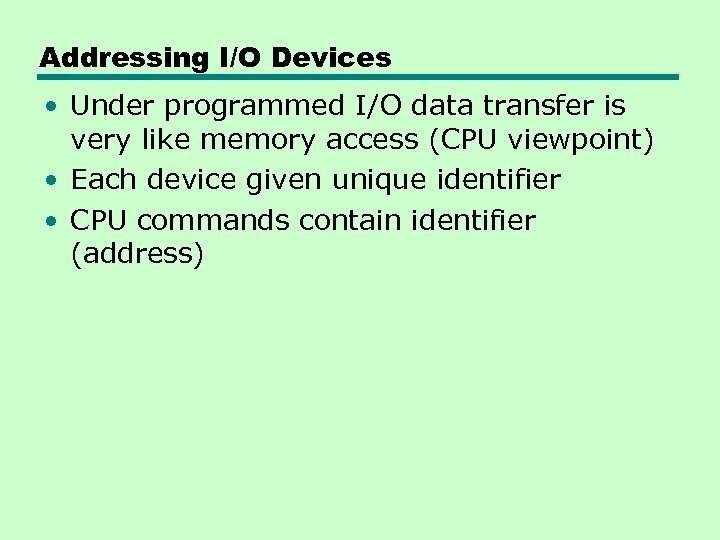 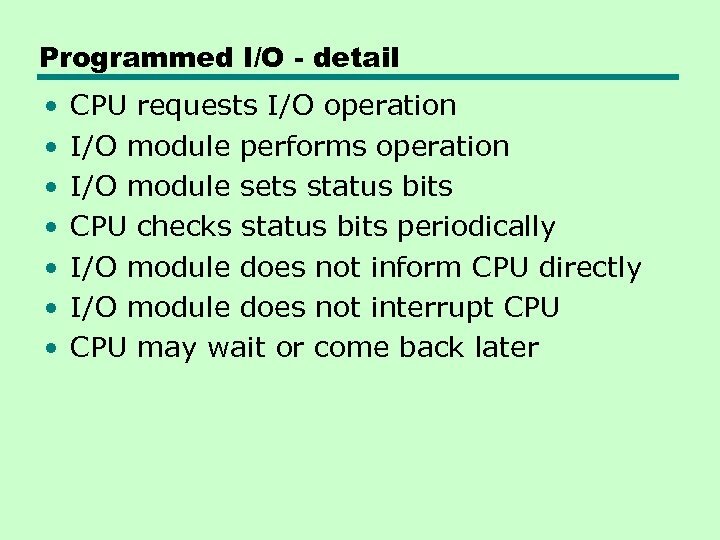 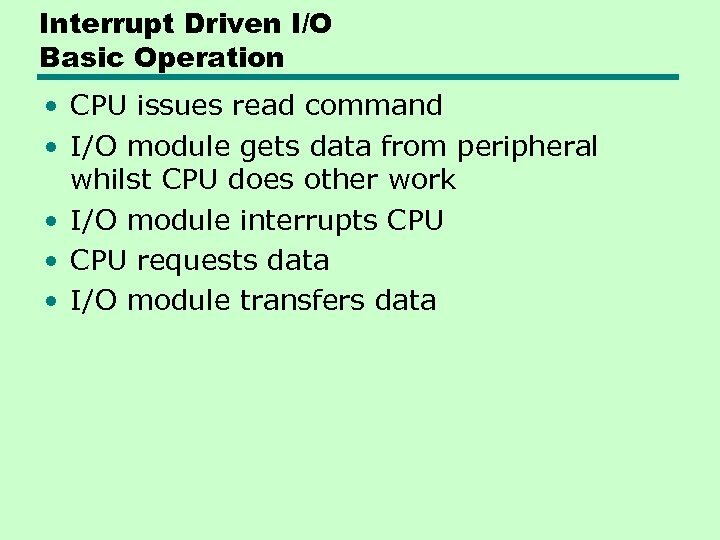 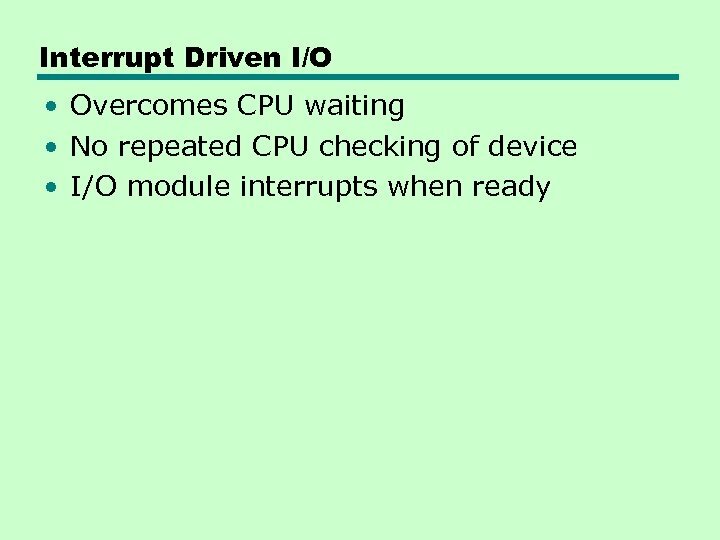 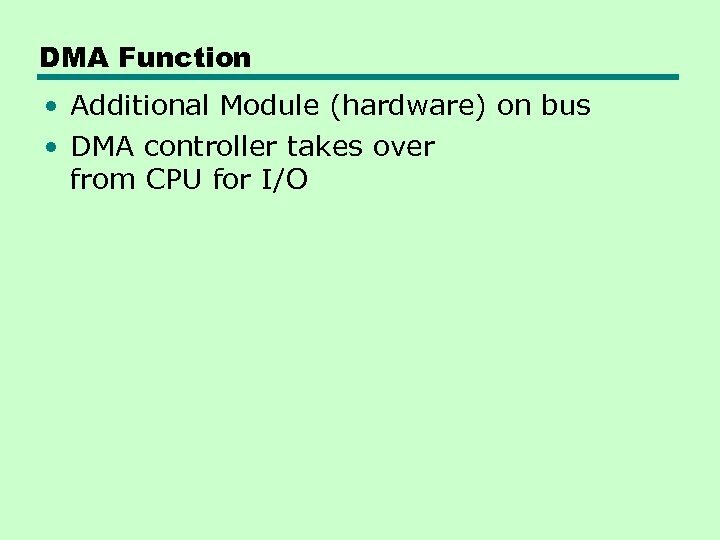 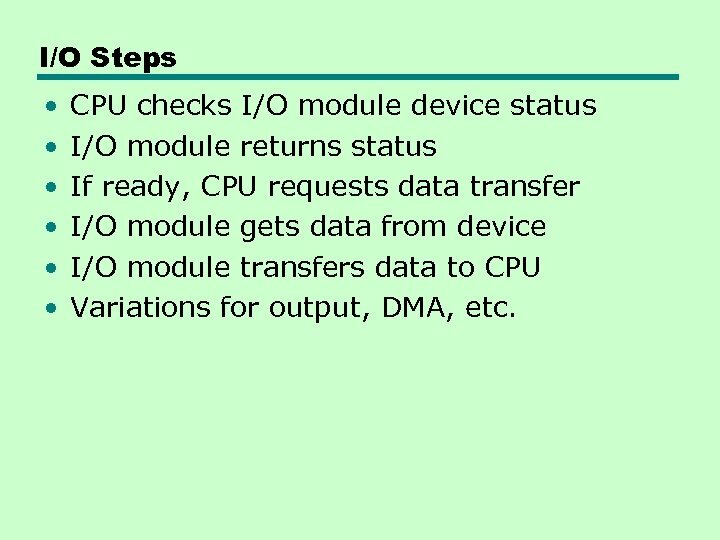 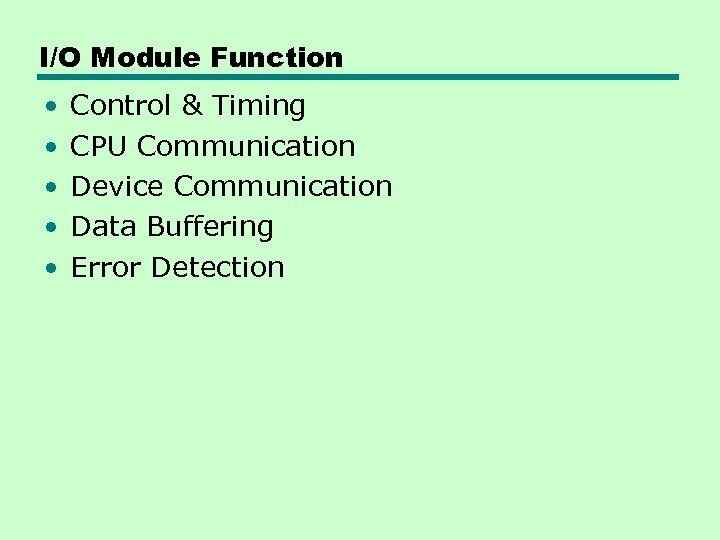 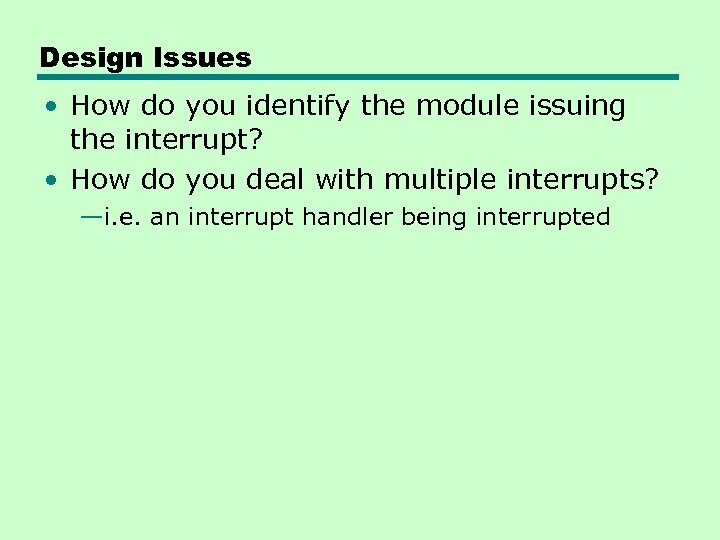 I/O Steps • • • CPU checks I/O module device status I/O module returns status If ready, CPU requests data transfer I/O module gets data from device I/O module transfers data to CPU Variations for output, DMA, etc. 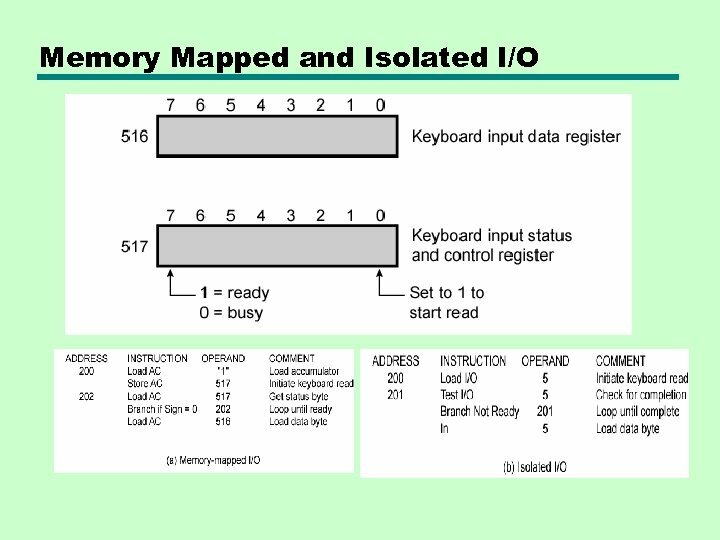 I/O Mapping • Memory mapped I/O —Devices and memory share an address space —I/O looks just like memory read/write —No special commands for I/O – Large selection of memory access commands available For example for 10 address lines a combined total of 210 memory locations and I/O addresses can be supported. 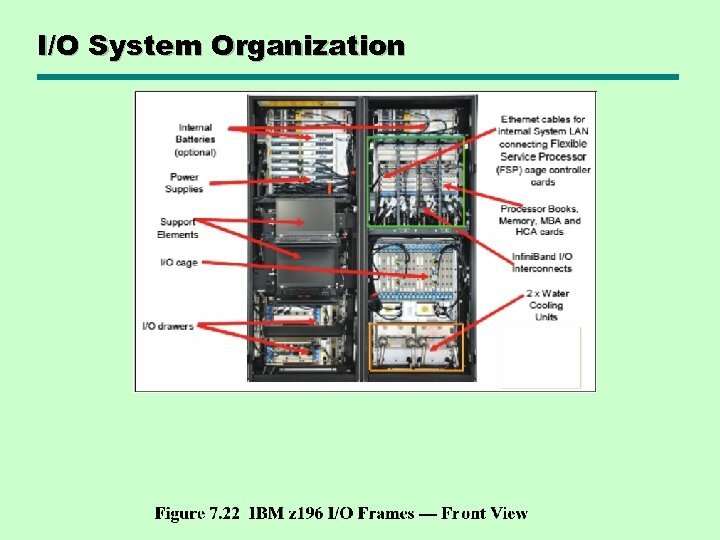 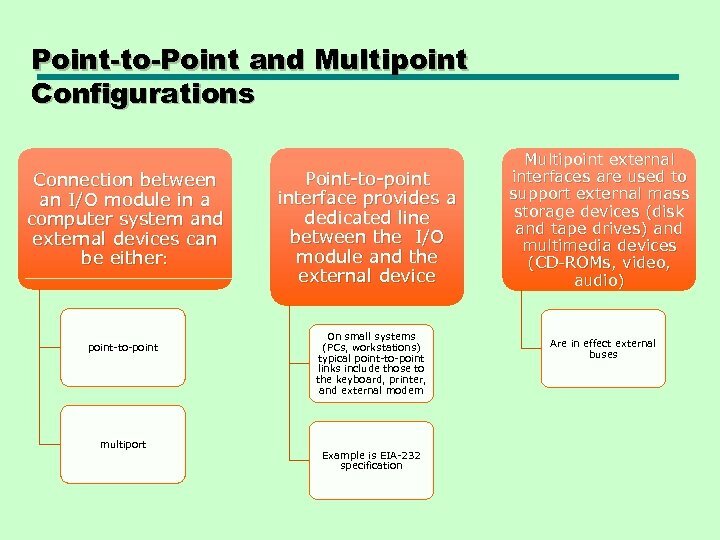 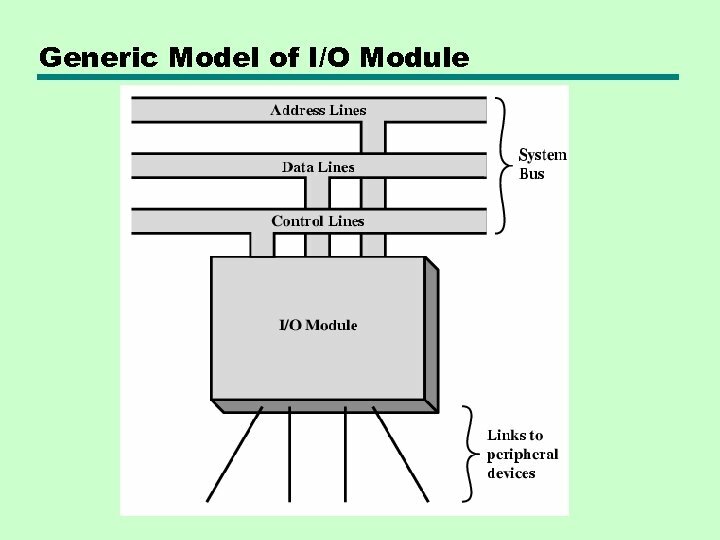 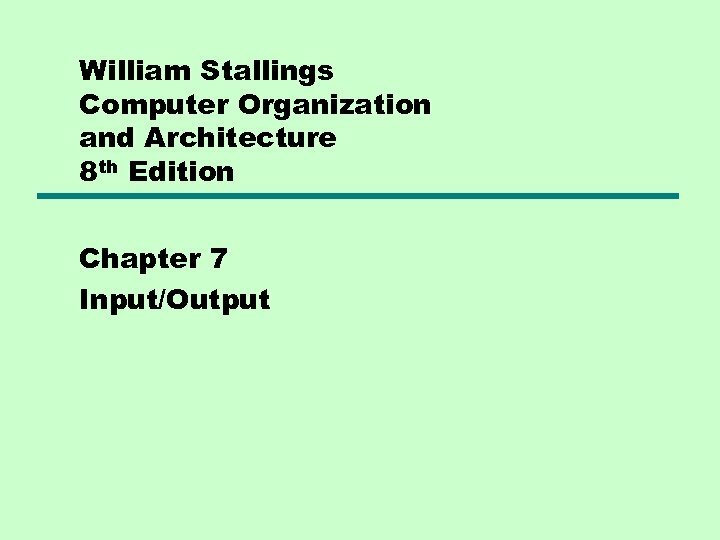 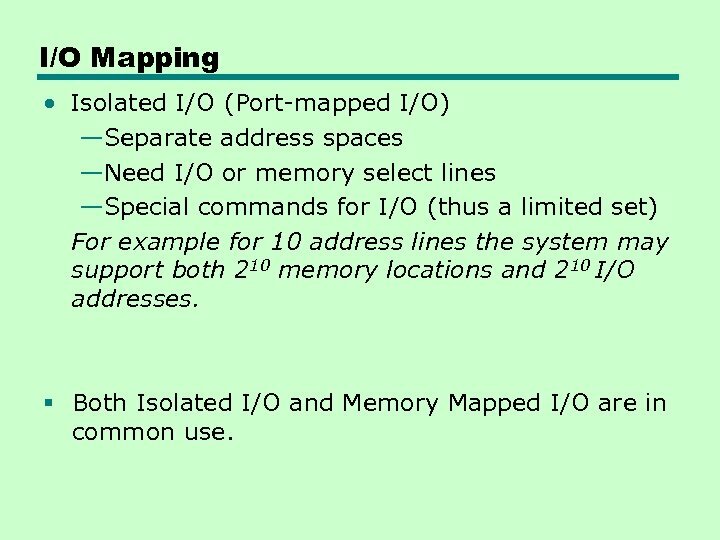 I/O Mapping • Isolated I/O (Port-mapped I/O) —Separate address spaces —Need I/O or memory select lines —Special commands for I/O (thus a limited set) For example for 10 address lines the system may support both 210 memory locations and 210 I/O addresses. 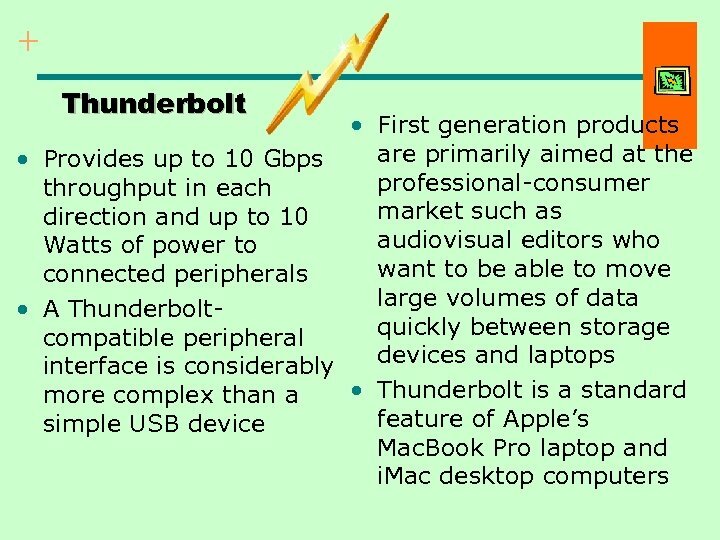 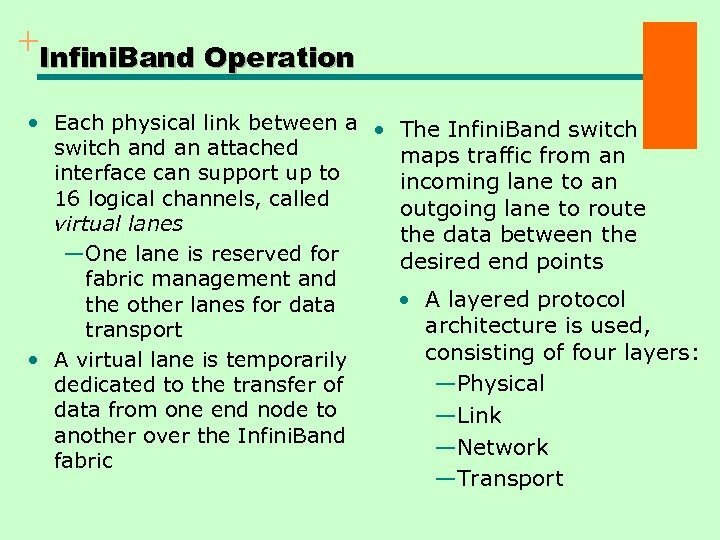 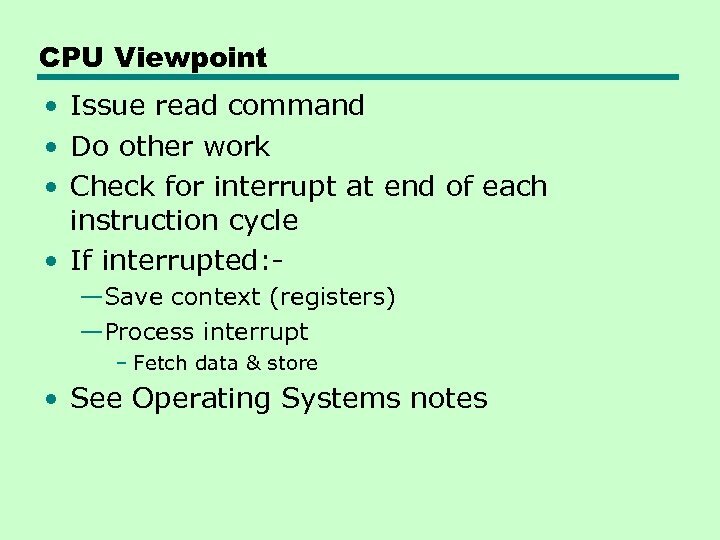 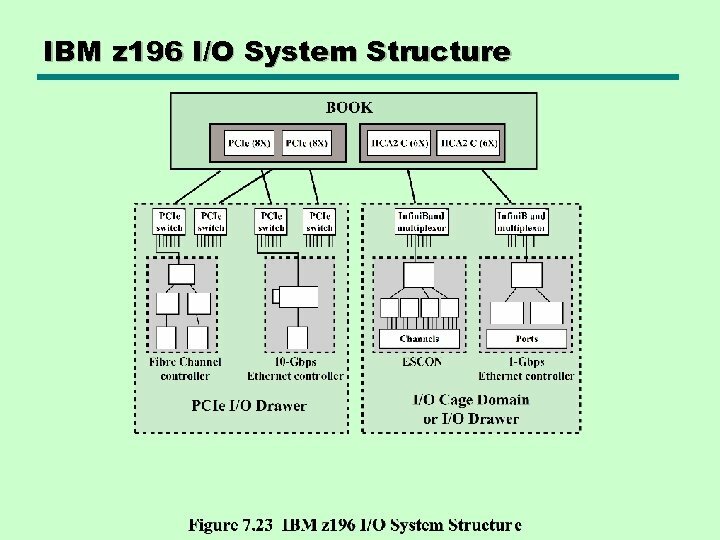 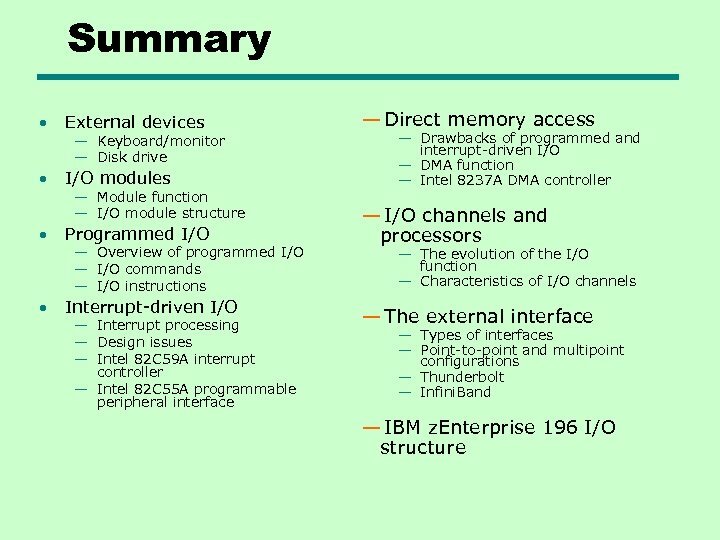 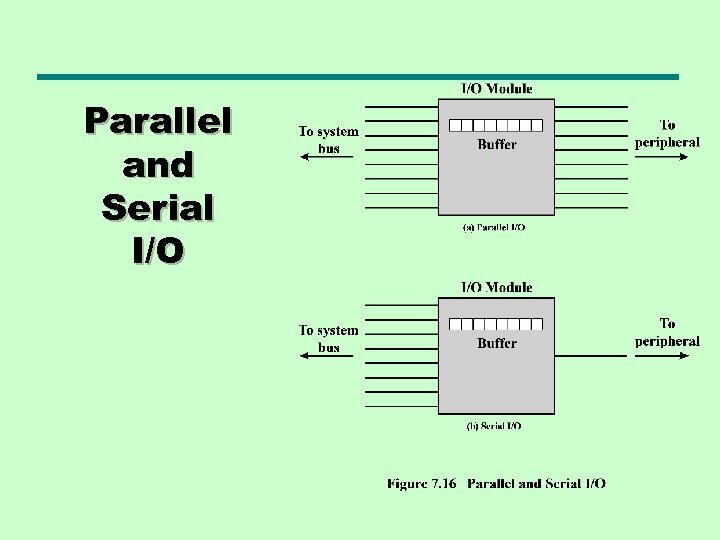 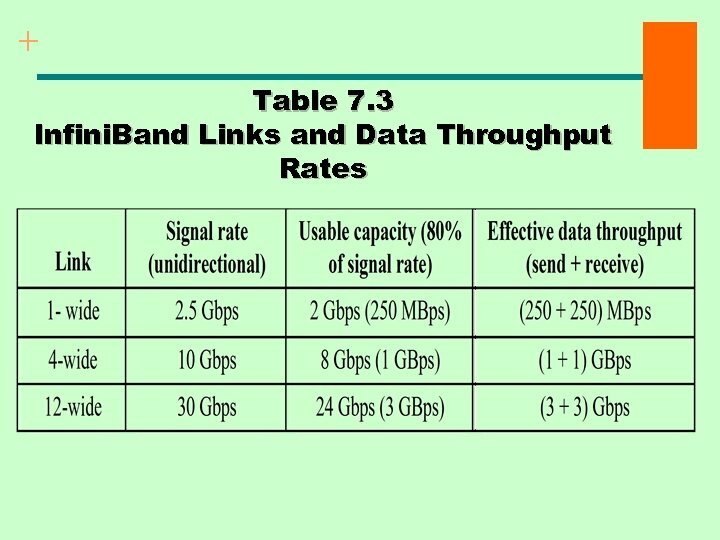 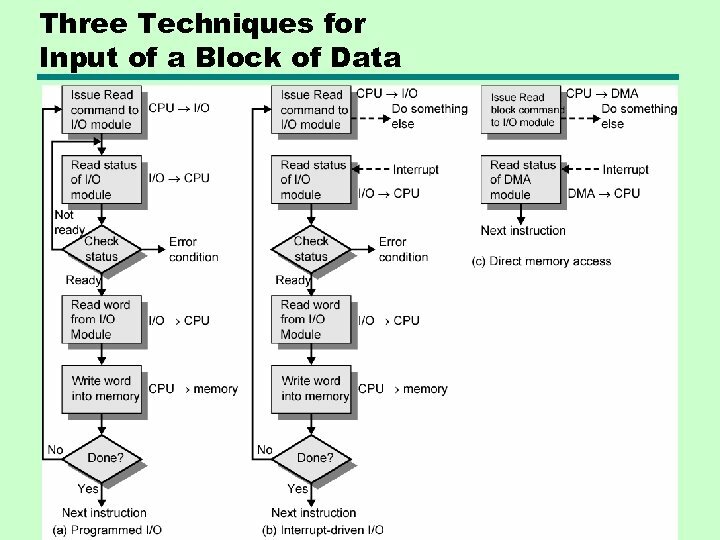 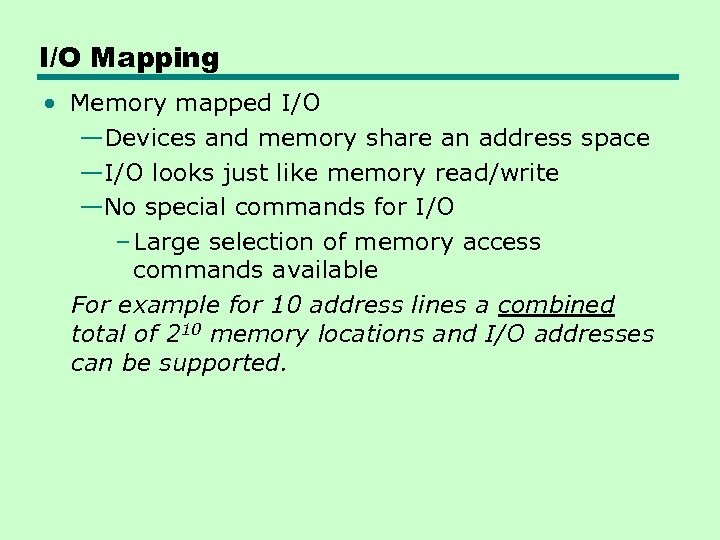 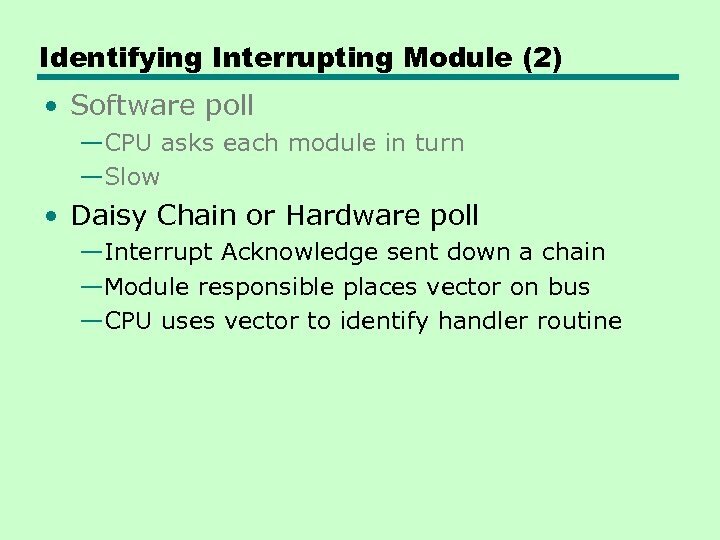 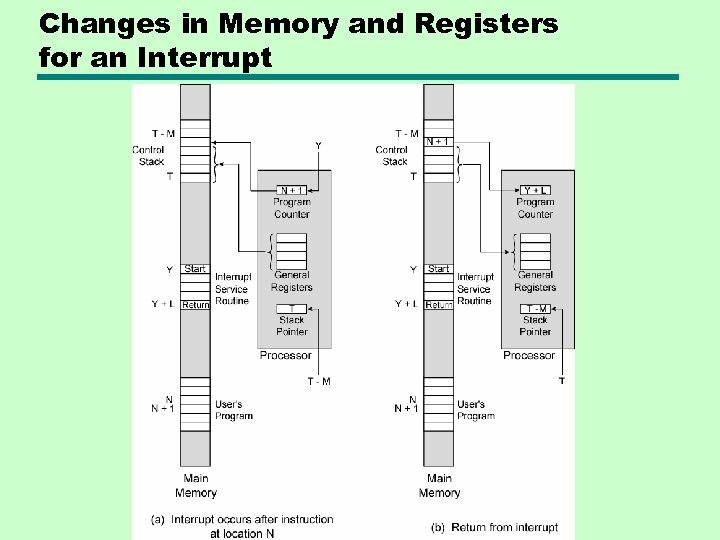 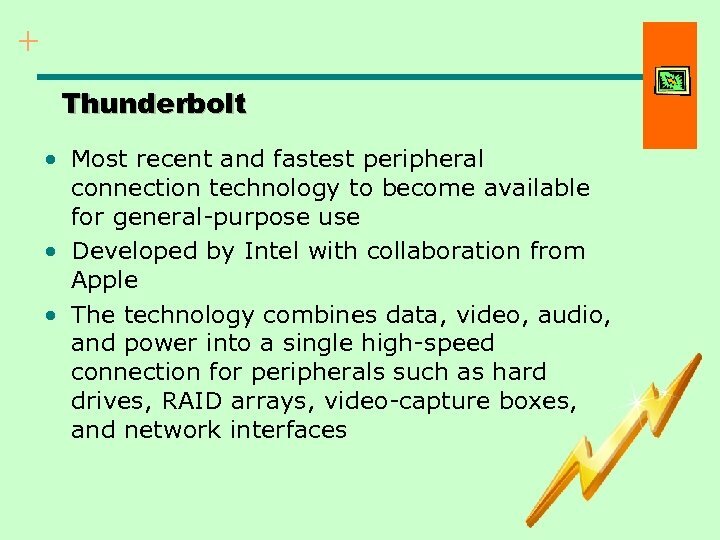 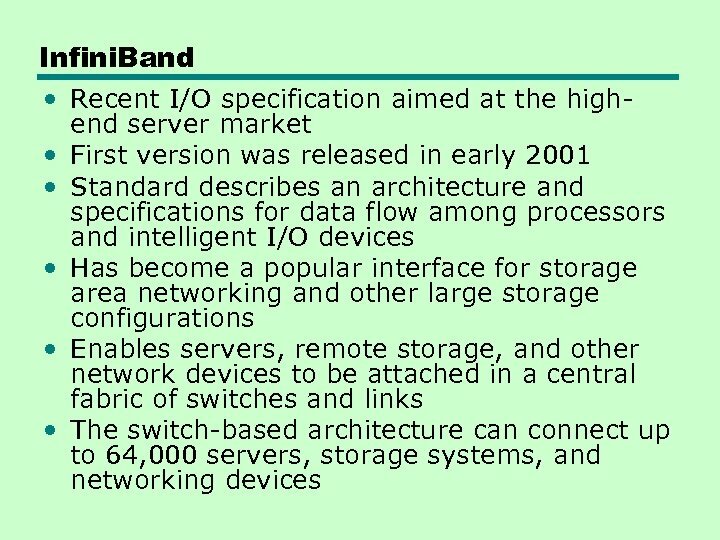 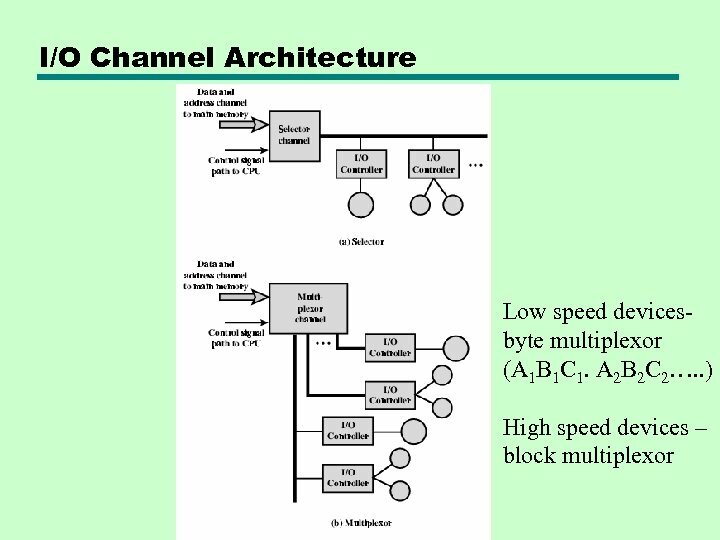 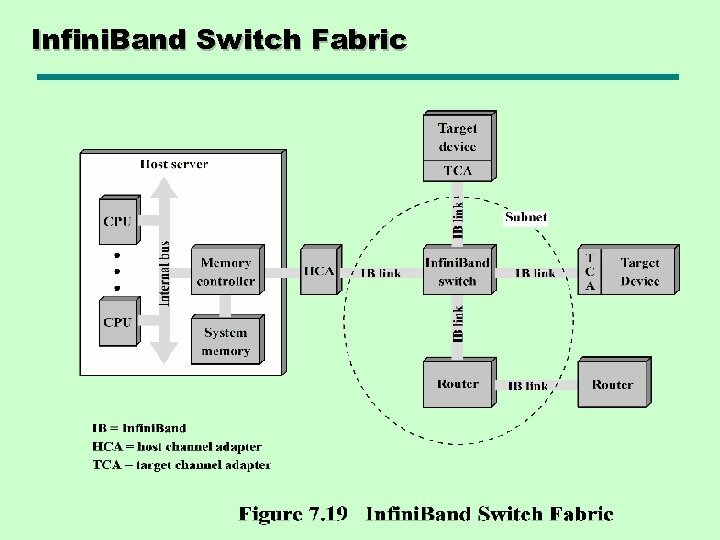 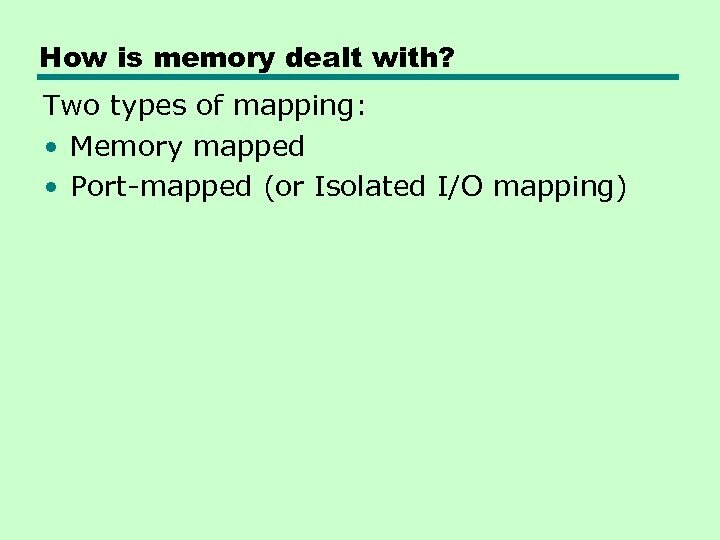 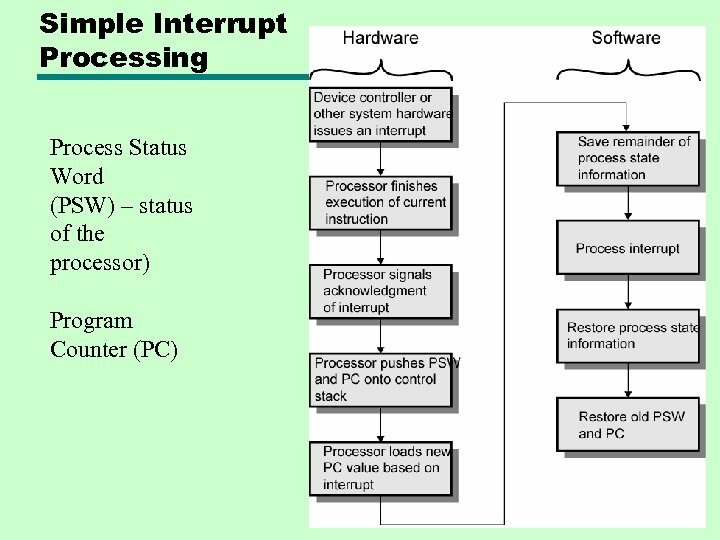 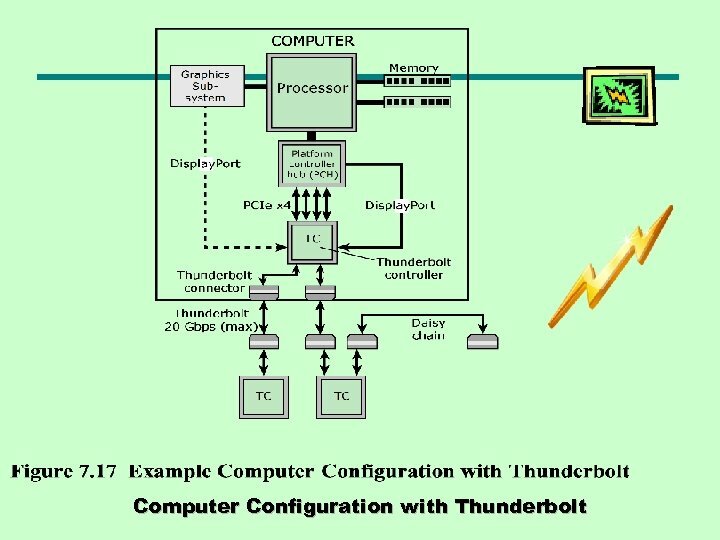 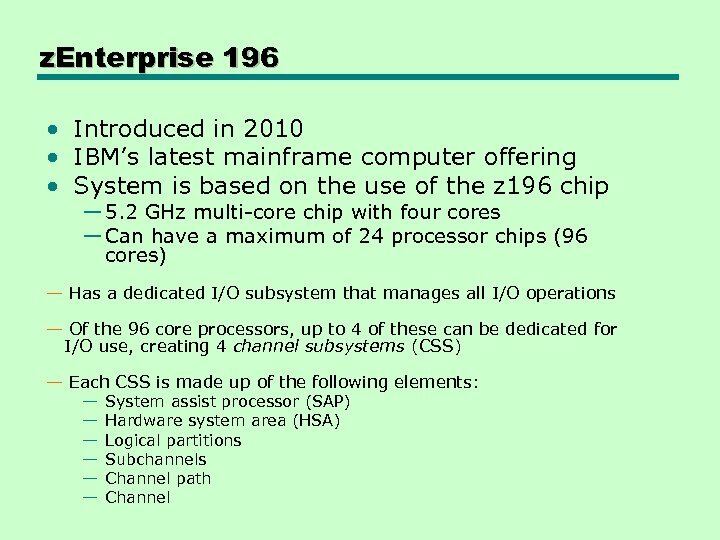 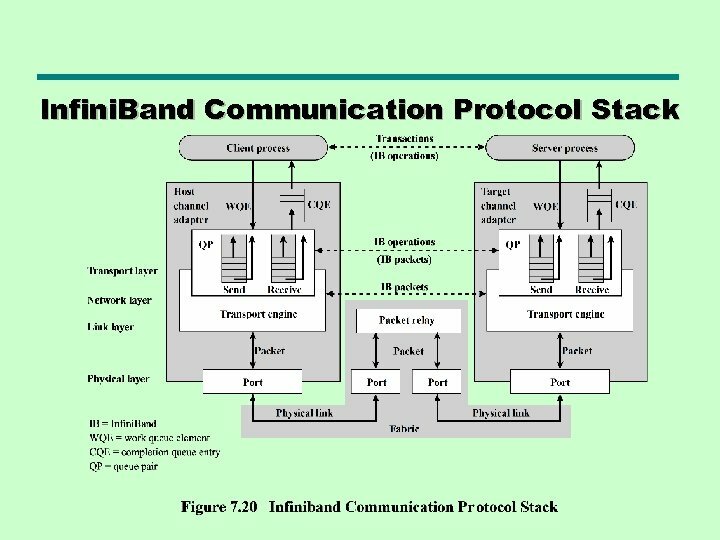 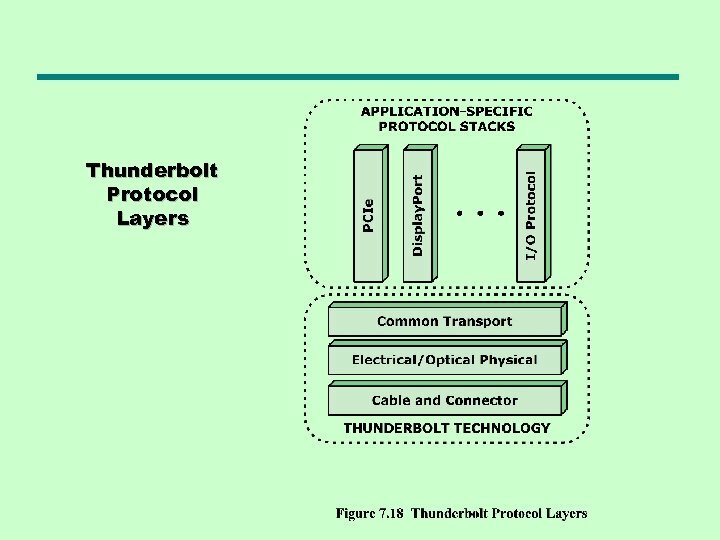 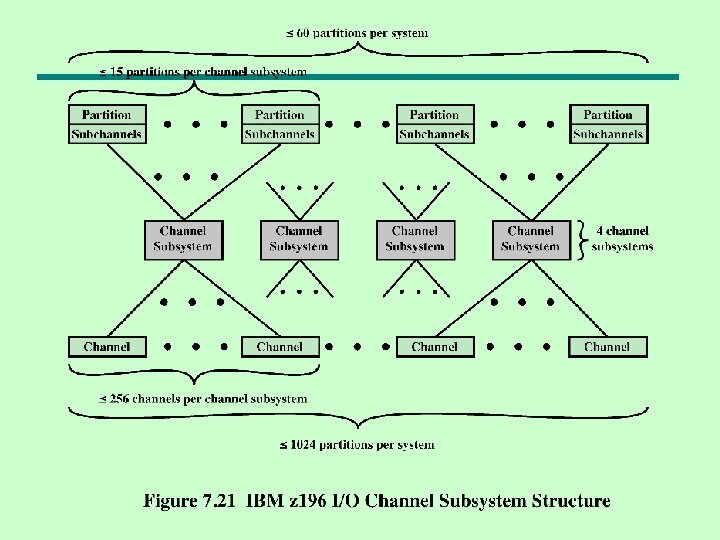 § Both Isolated I/O and Memory Mapped I/O are in common use. 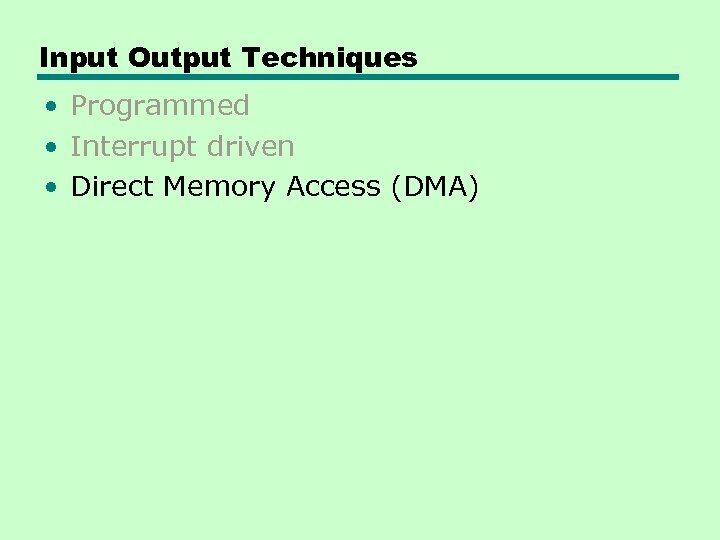 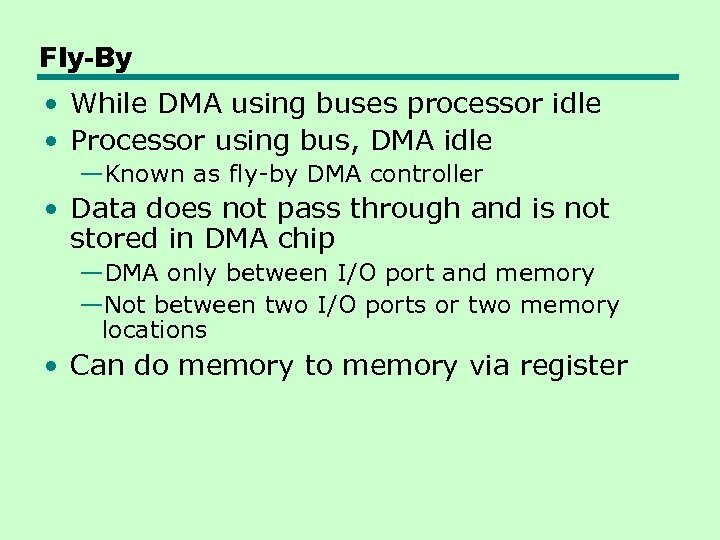 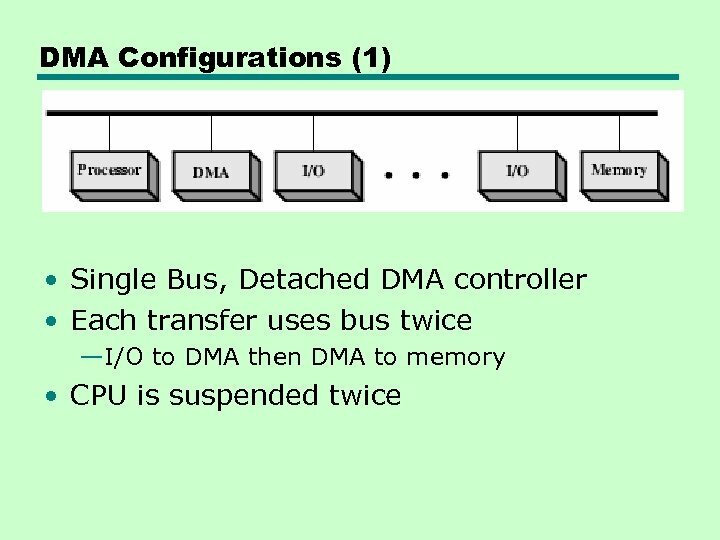 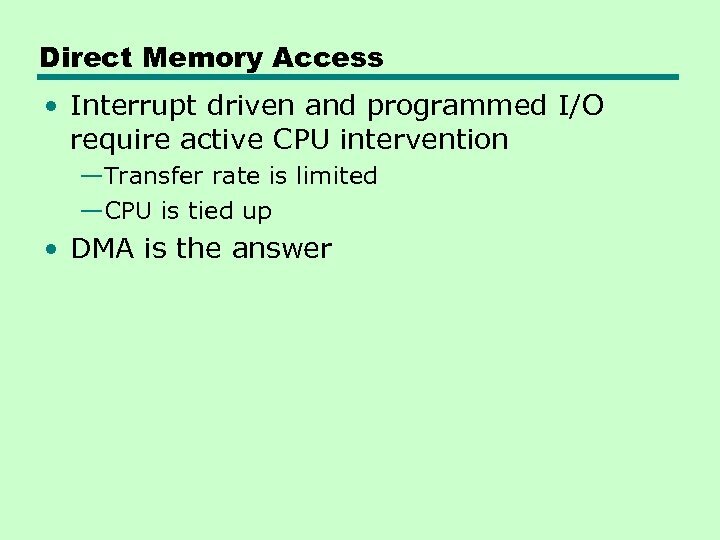 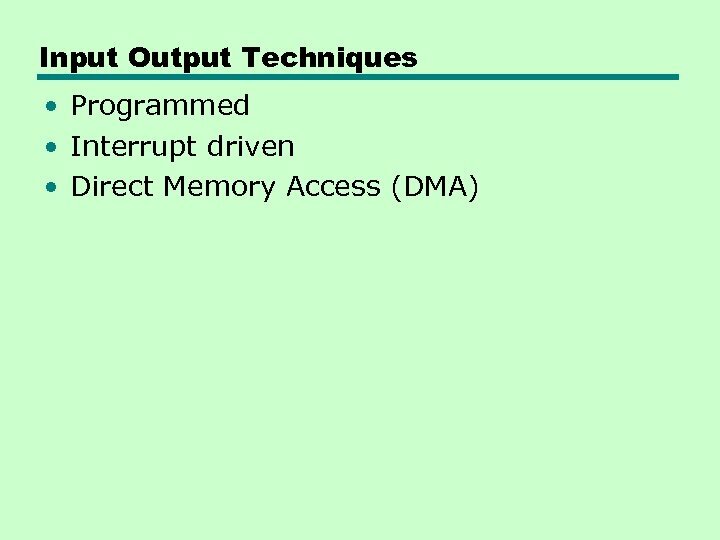 Aside • What effect does caching memory have on DMA? 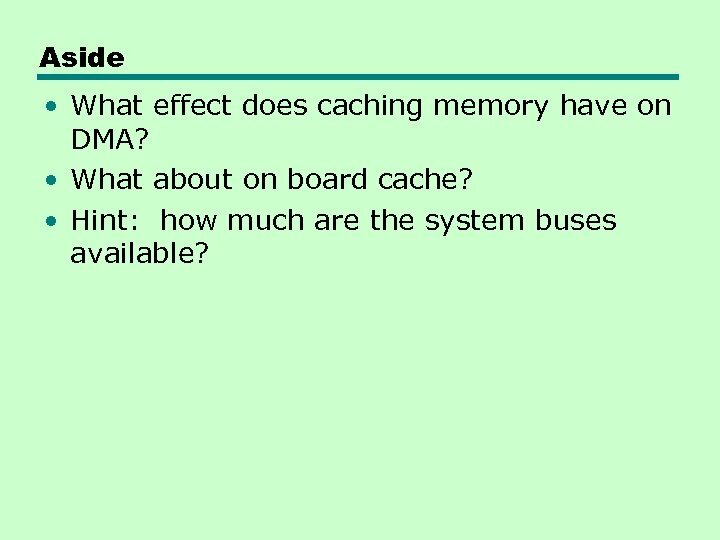 • What about on board cache? 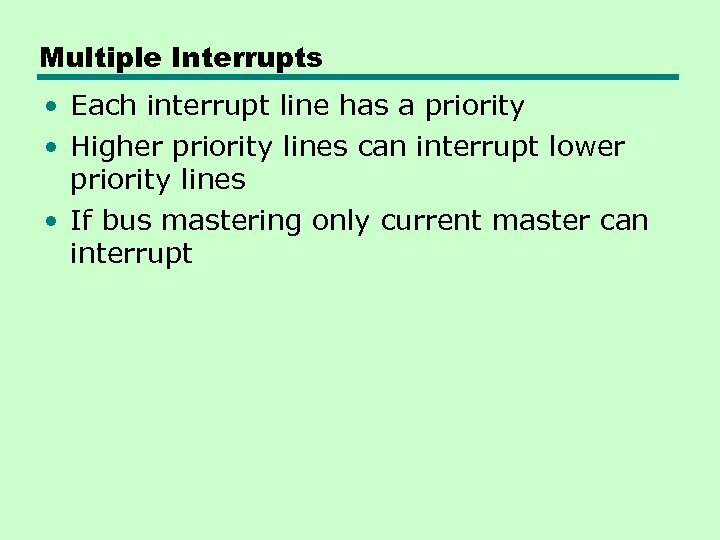 • Hint: how much are the system buses available? 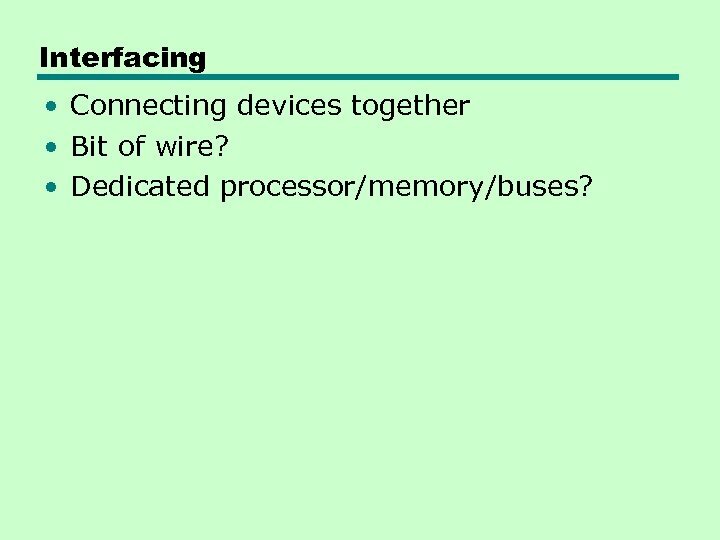 Interfacing • Connecting devices together • Bit of wire? 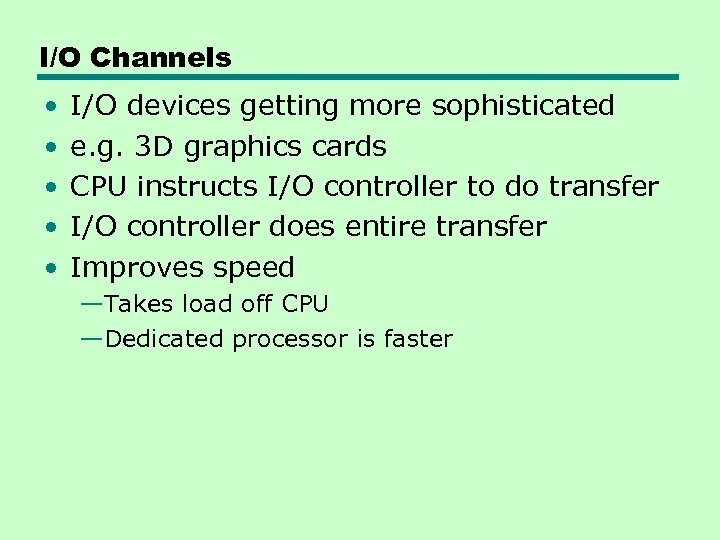 • Dedicated processor/memory/buses?